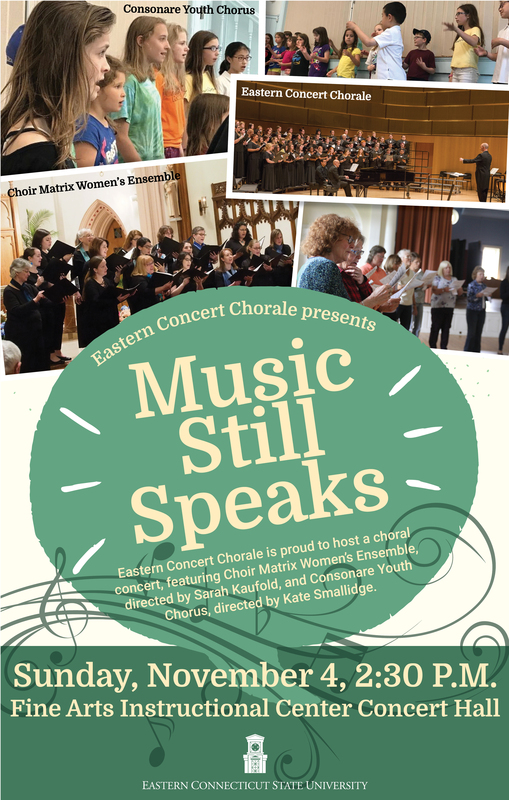 “Music Still Speaks” is a concert featuring choral works with compelling texts, many by living composers, to encourage and empower silenced voices to speak and sing. This concert, featuring our new women’s choir, Choir Matrix, and our Consonare Youth Choirs is generously hosted by the Eastern Concert Chorale and we have the unique opportunity to also collaborate with Thread City Classical Dance to create an eclectic community concert that is bridging the arts. Our community choirs are sponsored by an emerging organization called Consonare Choral Community (website: consonare-sing.org) whose mission is to cultivate consonance and build community through choral music in Connecticut for all, regardless of financial constraints.